Renée Dunn is the President/CEO of RB Dunn Consulting, LLC and Growth Consultant with The Jim Stengel Company. 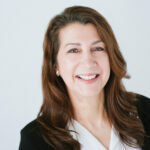 With 30+ years of experience in organization development and design, and human resources, her professional focus is on catalyzing organization health and growth via engagements focused on purpose-driven leadership and activation, executive coaching, team development, capability-building, and strategic organization transformation and change. Her clients include Fortune 100 companies in the beverages, CPG, technology, hospitality, insurance, and retail industries, as well as non-profits and civic organizations. Before launching her own practice in 2009, Renée enjoyed a successful 25-year career with The Procter & Gamble Company, where her colleagues and customers knew her as an outspoken, strategic HR leader. Often asking the questions others were reluctant to, she created and implemented HR initiatives that delivered significant results across multiple functions, geographies, and business units—from beauty care and food & beverage to marketing, engineering, purchasing, and global business services. Among her many accomplishments were: Leading an initiative that created and deployed P&G’s global gold standard for developing and maintaining effective teams and team leadership; and Providing HR leadership for reinvigorating P&G’s marketing function in partnership with corporate marketing leaders, to re-establish P&G as one of the most admired brand-building companies in the world. Renée holds a Masters of Management from the Kellogg School of Management, and a B.S. in Industrial Engineering from The McCormick School of Engineering at Northwestern University.